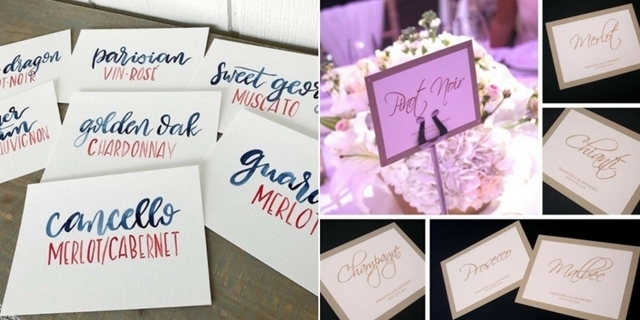 Your theme should work itself into every part of your day, even your table numbers. Now that you’ve sorted the big picture details like your venue and dress, it’s time to focus on the finer details. Before you start designing your table numbers, you should have a rough idea of how many tables you’re going to have. Knowing how many numbers you need will help you decide how much you’re able to spend on each. The ‘urban’ style can be expressed in a few different ways. This could be a city chic, ultra-modern wedding, or a more casual but still sleek day. No matter which one you’re planning, here are our top table number choices. As you can see, the same idea to use wines as the table names can look very different and can suit a range of urban weddings. A more sophisticated marble background or a sweet constellation? Either way, these numbers would be perfect for those darker colour schemes. Make sure you also pop a bit of colour on the table somewhere, like the purple flowers. World travellers are sure to love the first table name idea here. 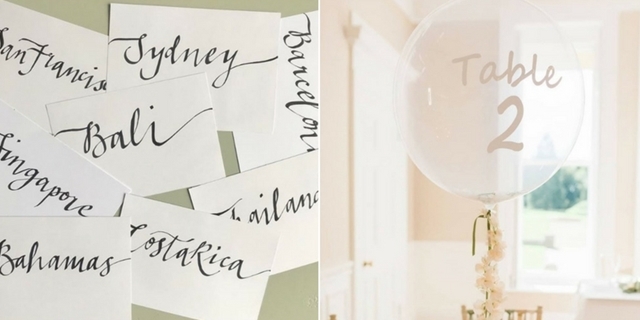 Country and city names are a great way to guide your guests to their urban-styled table. They are also easy to remember! 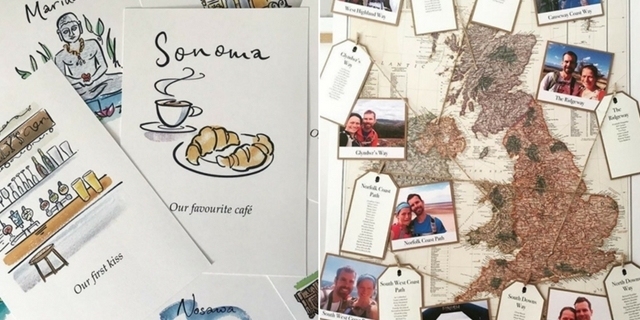 Particularly awesome if the places names are ones you've travelled to as a couple. The balloon numbers are also fantastic in guiding your guests to their table. They are super easy to find and are a simple, economical addition to add height to your table setting. 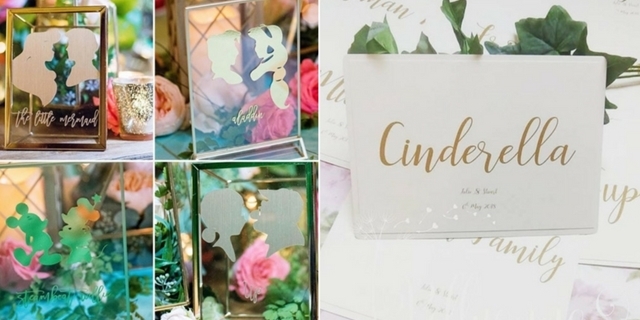 Every little girl’s dreams are coming true with these classic romantic table numbers. 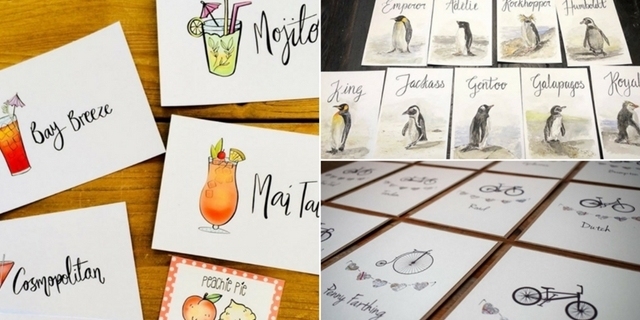 From very literal princesses to showing off your own fairytale happily ever after, these designs will make your guests say “awwwww” all night long. A Fairytale wedding doesn’t have to be old and stuffy to be on theme. These table numbers have a modern font that brings a lightness to the day. You can always ensure your theme is present by having more traditional flowers in your table settings. These table numbers will definitely bring a sense of magic to your reception venue. Your married friends will (hopefully) get a kick out sitting at the ‘Beauty and the Beast’ table. Who says fairytales are only in movies? 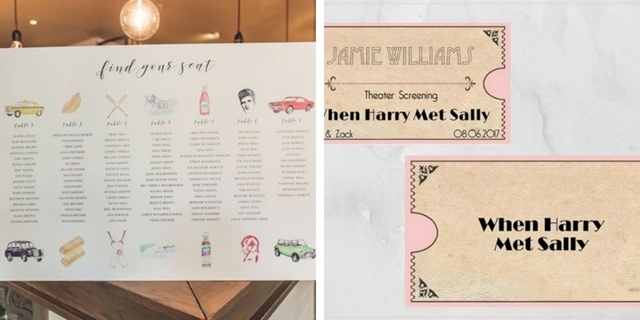 These personal table charts and numbers will show off your whirlwind romance. If you’ve travelled the country or the world, the first chart would be perfect! Even if you haven’t, you could use your ‘first’ locations on a map of the town or city. Rustic weddings may fall under the same overall style but are always so different. You can have a rustic country wedding, a rustic garden style, or a rustic beach wedding among others. 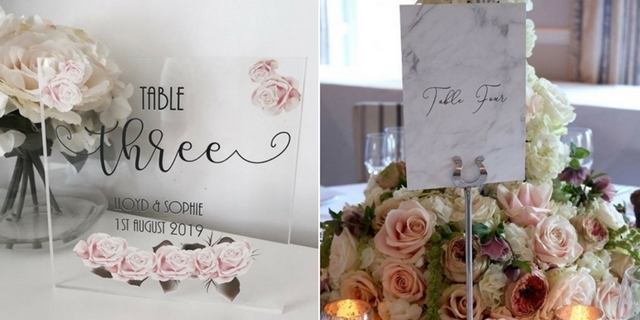 One of these table number ideas has to suit your style. There are just so many – I couldn’t choose! Are you and your future ‘the one’ having a garden rustic wedding? These table numbers are cute and unique! My favourite part of the second numbers is that the dietary requirements are clear for your waiters and waitresses. These are the best of both worlds – where the rustic, outdoors meets the modern and sleek. 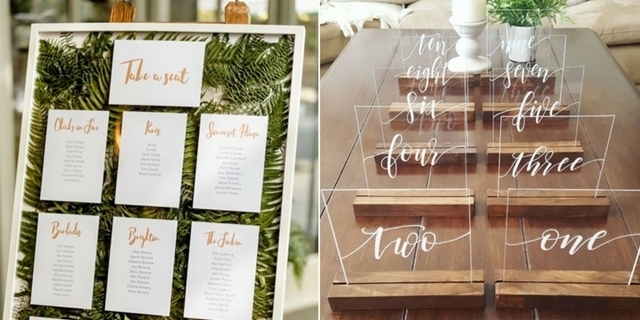 These table charts and numbers would be perfect for the rustic wedding in the city. Veilability brides looking at locations in Toowoomba, the Sunshine Coast Hinterland, or who would just like to bring a bit of country to Brissy might want to take a second look. Wood, hessian, dark green leaves… the core of the ‘rustic’ style. 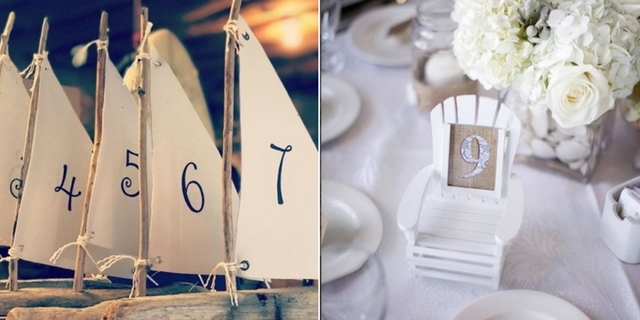 These table numbers could go with most rustic weddings (with a little bit of personalisation, of course). They are a perfect start to getting some inspiration. 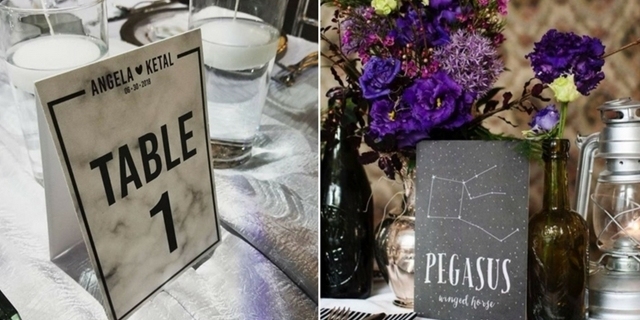 You’ll definitely have a wedding to remember with some of these whimsical table names and numbers. The best thing about these is your guests really see your personality shine through. Choose from your favourite musicians, drinks, movies, shows, or animals, to reveal what you really love (apart from each other, of course). Now, I’m sure I don’t have to tell you that penguins and bicycles aren’t everyone’s style. But, if it’s yours then I say: “Why not? !” After all, it is your wedding so it should reflect your interests and personalities. 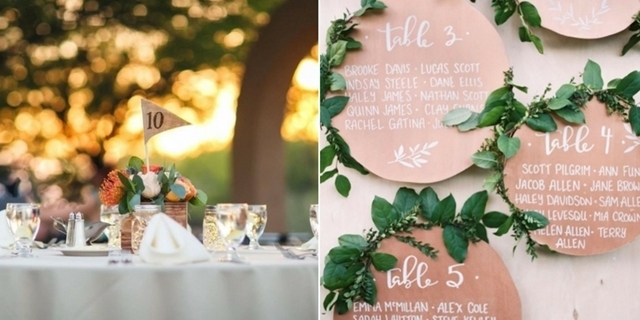 These unusual table numbers are playful and pretty cute. How cute are these little table numbers? I can see either of these at an intimate beach wedding or for an eclectic wedding. They’re not for everyone but they sure are adorable. What did you think? Surely there has to be something in this list that sparked your interest. If not, send us a comment and tell us what we missed. Happy styling!